First frosts have hit Birmingham, so now it is time to get the tulip bulbs in before winter earnestly sets in. 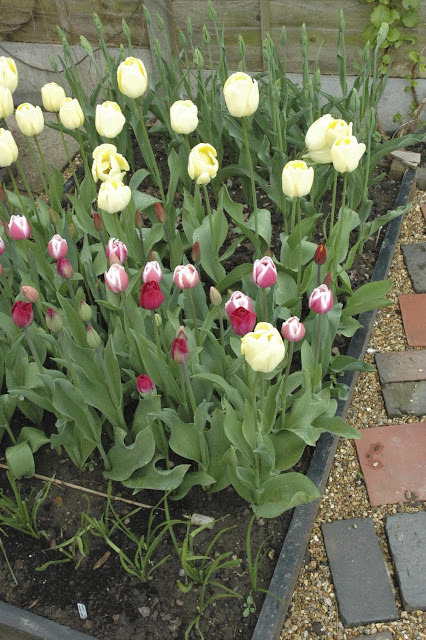 Planting them after the frosts lessens the risk that they will be hit by an infection called Tulip Fire which, for the unlucky, can strike bulbs planted in the warmer conditions of early autumn. Am really looking forward to the ruffled purpley pink beauties called 'Rai' which I am planting for the first time this year. Am also going to be brave and dig out the 5 year old bulbs which have given me such lovely flowers in previous years - titchiness tendencies are becoming too pronounced, so it is time for them to make way for some vigourous new blood. And it gives me an excuse to dig out lots of mint roots which now snake through that particular patch in the the main border (and to think I once couldn't get mint to really get going… be careful what you wish for is the moral of that particular story). Will also dig in the compost which sits waiting for a new home after the recent bin turning exercise and retire to my slumbers tonight, dreaming of gorgeous goblets of glamour next spring. I am also spending my days planting tulip bulbs & hope to be done next week. I am looking forward to seeing "Raj' - I have not come across that one before. 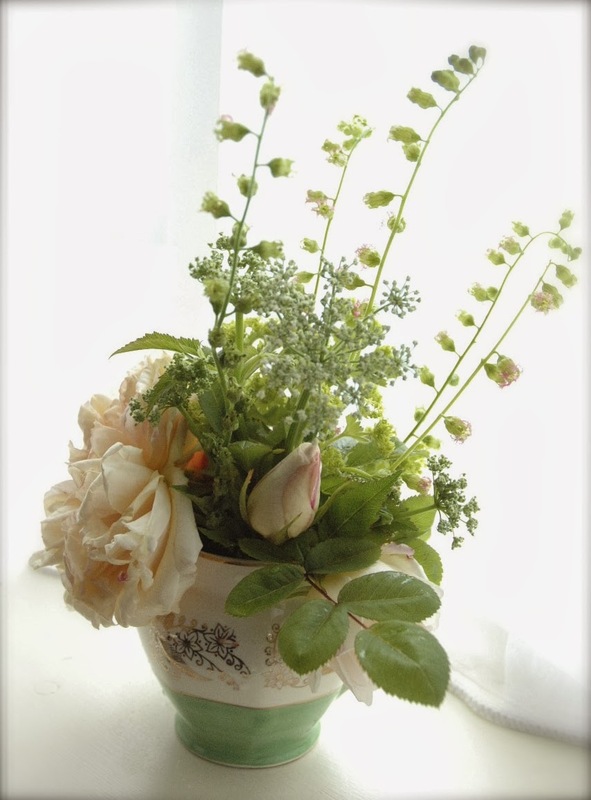 Thank you for reminding us of how pretty it will look in the garden next spring! Hope to get mine finished tomorrow if the ground's not frozen. Can't wait til next spring. Missing the flowers already and there are still months to go! A necklace of crab apple and a feather of grass.